Pilates is a body conditioning method that improves posture, increase core strength and stamina, aids balance and co-ordination and teaches body awareness, so that we are better able to interact with the horse in a meaningful manner. Research has shown that most humans like horses are one sided. In fact the majority of riders have been shown to take greater weight through their left seat bone and to have increased tension through their left rein when riding. The exact reason why this happens is still not apparent but most likely relates to everyday activities and hand dominance. Mat based Pilates helps to re-educate movement patterns and enables us to become more symmetrical. The mat provides tactile feedback as to the position of our body, for example – how much weight are we putting through each leg when we attempt to list our bottom from the floor when performing the bridge position. Pilates not only improves postural awareness but it builds core strength essential for maintain the correct riding position and providing stability when the horse spooks unexpectedly. 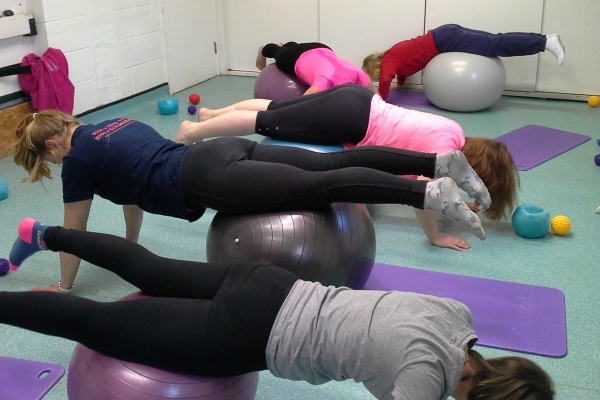 Pilates on the Ball helps with balance. Balance is essential component of any riding practice whether jumping or riding a dressage movement. If we are correctly balanced on the horse the horse is free to perform to the best of its ability. We often spend hours training the horse but in reality how often do we spend training ourselves? The horse is only one part of the equation we are the other. To have an effective partnership both the horse and rider need to be balances and working in harmony. Classes run over a period of four to six weeks during term times and are held at Wendover Heights Veterinary Centre (Wendover) on Monday evenings, Widmer Equestrian Centre (Lacey Green, near Princes Risborough) on Tuesday evenings, and Woodrow Sports Centre (Nr Shardeloes-Amersham) on Wednesday evenings. More classes coming soon! Please keep an eye on the website, Facebook or email tc@chilternriderpilates.com, for further details. 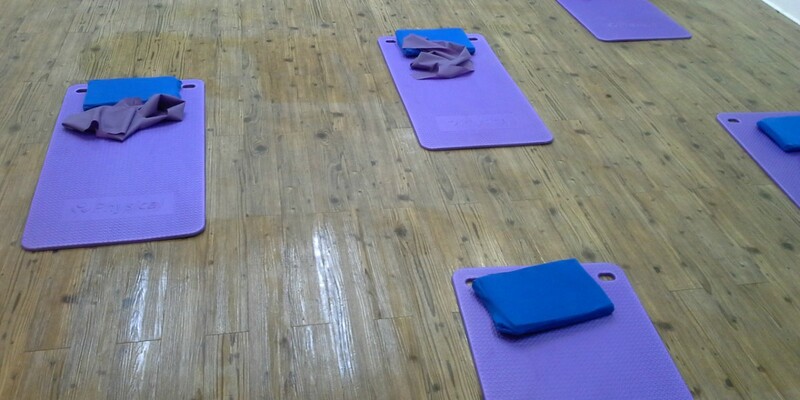 Classes include the use of exercise mats, pillows and small equipment such as Wobble boards, Theraband and Pilates’ small balls. Sign up & be the first to hear! 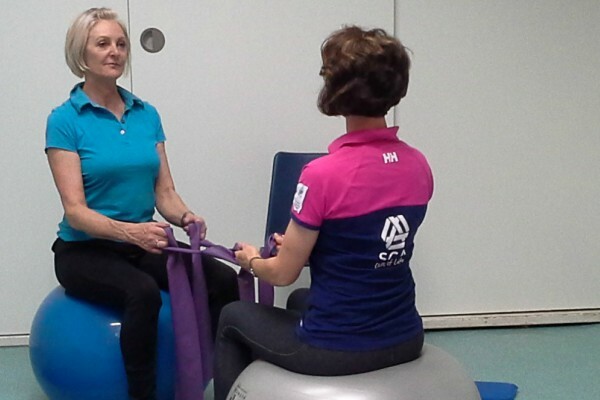 Get email updates on new dates for my pilates classes, forthcoming clinics, and helpful physio information for horse riders and their 4-legged friends! 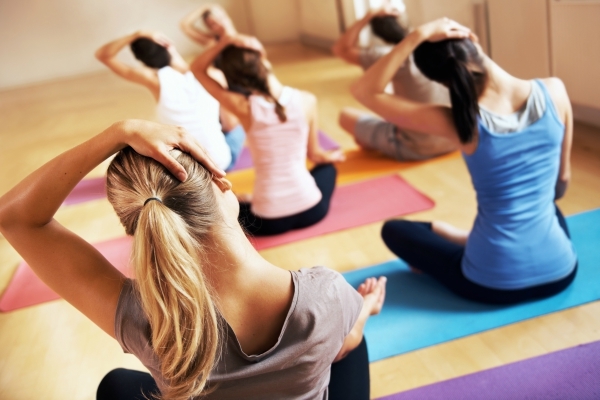 Would you benefit from Pilates? Do you collapse to one side, hold one shoulder/hand higher than the other? Do you put more weight in one stirrup when compared to the other? If the answer to any of these is yes then you would most likely benefit from Pilates. Stand on one leg and close your eyes- how long can you balance on each leg- is it an equal amount of time? Lie on your side with your hip and knees bent to right angles- straighten the top leg and lift up and down 10 x’s keeping it in line with your body-repeat on the other side- do you have similar strength and balance on each side? If safe to do so- ride several steps down the centre line with your eyes closed- does your horse drift to the left or right? If so the likely hood is that either you are snot sitting straight or that you are putting more tension down one rein compared to the other.